I really dislike when promoters fill cards and pin New Mexico fighters against New Mexico fighters, El Pasoans vs El Pasoans or a mixture of the two. What the hell the – I figure if promoters are not going to pay out of state fighters to challenge our guys then why not pin our best fighters against each other. As much as everyone here locally wants to see it, I do not believe we’ll see Archie Ray Marquez against Fidel Maldonado Jr. anytime soon – if ever. We will leave that fight out of the discussion when breaking down the top 10 fights involving New Mexico and/or El Paso based fighters. Let’s see this rematch please! Josh Torres (Albuquerque, NM) (12-3-1, 5Kos) vs. 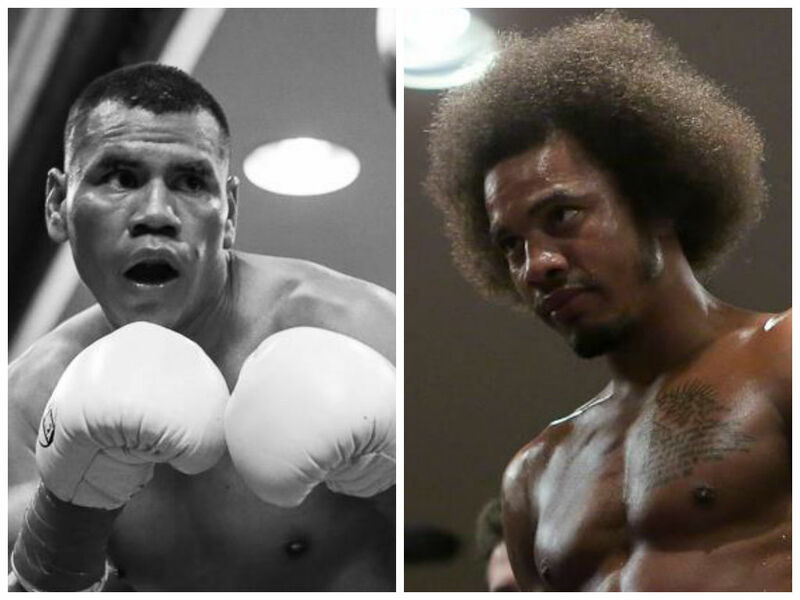 The two men fought in a very exciting contest six round contest in July of 2012 at the Wool Warehouse. Torres (pictured above on the right) was a awarded a split decision in an extremely close contest. One judge had the match a very respectable score of 58-56 while the other two scored it extremely widely at 59-55 for each fighter. After the contest Torres would go on to fight six more times holding a 5 win and 1 loss record, while Gomez (pictured above on the left) would only fight once. There were many ringsiders – I wasn’t one of them- that felt Gomez did enough to beat Torres the first time around. Cristian Cabral (Abq.) (5-1-1, 3KOs) vs.
Cabral took a big step up in his last outing and was stopped against Joseph Gomez but early on in the match proved to have what it takes to challenge the top local names. Hernandez is in my opinion the best best boxer in New Mexico not named Austin Trout or Fidel Maldonado Jr. He has the technical skills to take him as far as he wants… if he’s active and if father time doesn’t catch up to the 30-year-old. “But Jorge, Cristian is a welterweight and Yordan is a light welterweight.” Fair enough, catchweight then of 143lbs. most of the fights on this list would likely be catchweights. In one of his recent fights Cabral weighed in at 143 and made it easy. 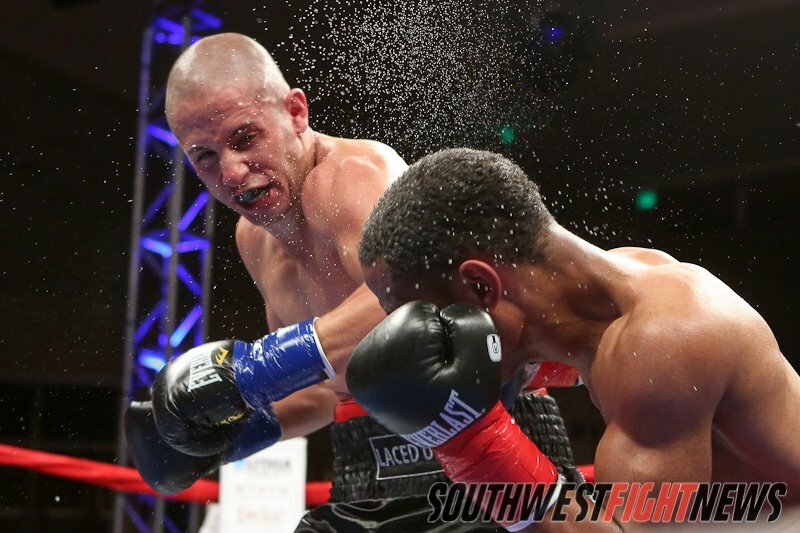 Jason Sanchez (Abq) (3-0, 1KO) vs. If you don’t think this would be a fun fight you’re crazy. Brandon Holmes has the potential to knock anyone one out in the state between 122lbs-130lbs while Jason Sanchez, is one of the best pure boxers in New Mexico under the age of 20, can outbox anyone in the same weight range. Both guys suffered testy moments in their last bouts, Sanchez squeaked a unamious decision over David Munoz and Holmes fought his way out of a very tough and almost fight ending first round against Daniel Salinas. Joaquin Zamora (Santa Fe) (20-4, 12KOs) vs. These guys have served as sparring partners several times before and are friends. Out of all the fights on this list, this one might be the most unlikely to happen. Han suffered the first loss of his career this year on ESPN against Glen Tapia and fought a bounce-back fight against Bernardo Guereca to end the year. Zamora, is going on 37 years-old and last notable victory took place in 2008 when he fought Ray Sanchez II, don’t let that fool you. He hasn’t been through wars that most veteran fighters have endured by that age so his body is probably more of a 32 years olds. 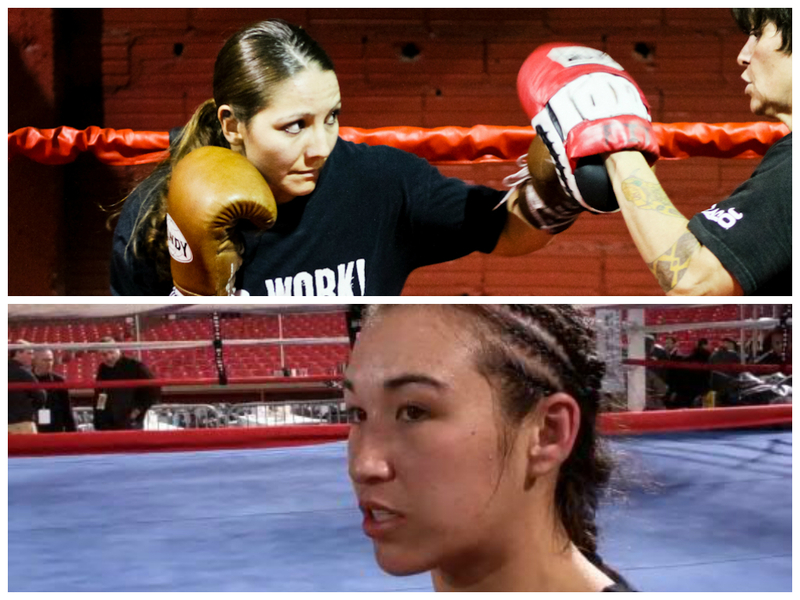 Brenda Gonzales (Moriarty) (2-1, 1KO) vs.
Here’s the great news on this potential fight. It’s actually happening February 28th at the Bunchanans Event Center in El Paso. Fighting a popular opponent in their hometown may not be a good thing for Gonzales who was, at least to us, robbed of a decision against Amanda Crespin early last year. Han vs. Gonzales, pins two slick boxers against on another. Han will no doubt serve as the attacker while Gonzales, the classic counter-puncher will wait her turn. I might have to drive down to El Paso for this one. Tony Valdez (Española) (7-4, 3KOs) vs. 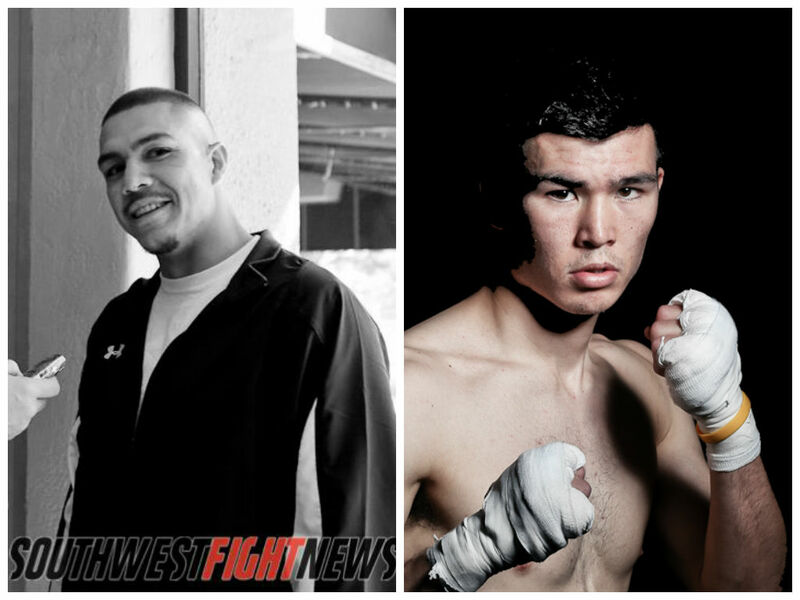 They are the two best super flyweights in New Mexico and El Paso, so why not? In September, Valdez (pictured above) was two minutes away from winning the WBC USNBC Super Flyweight title before an epic comeback by Felipe Castañeda. Coincidentally, Garcia is scheduled to fight Castañeda for the very same title in May. If Valdez and Garcia were to fight they would have to do it on “neutral” ground; meaning Albuquerque as Valdez‘ popularity in northern New Mexico and Garcia’s in El Paso might cause some issues. No matter where the fight takes place, the number of punches that would be thrown in this contest would be insane! 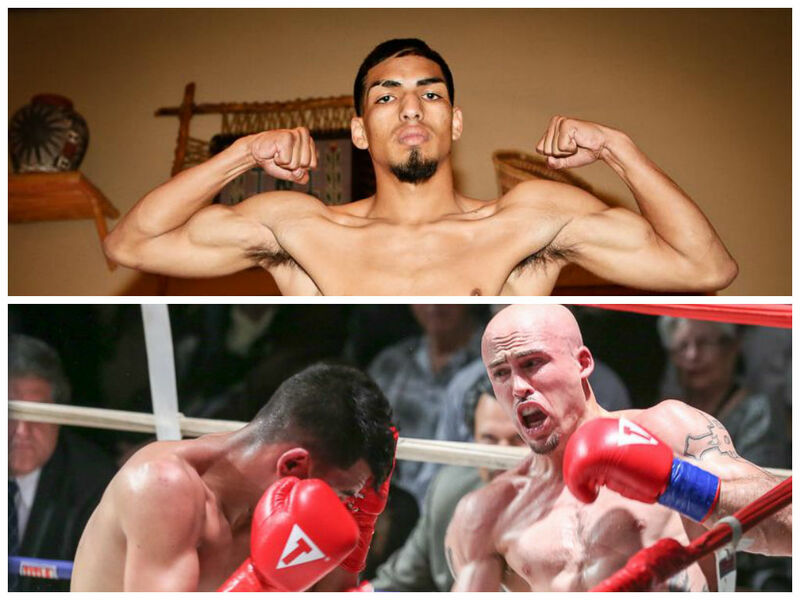 Jose Salinas (4-0, 3KO Las Cruces, NM) vs.
Here’s another contest that is going to happen! January 31st at the County Coliseum, in El Paso, Texas. 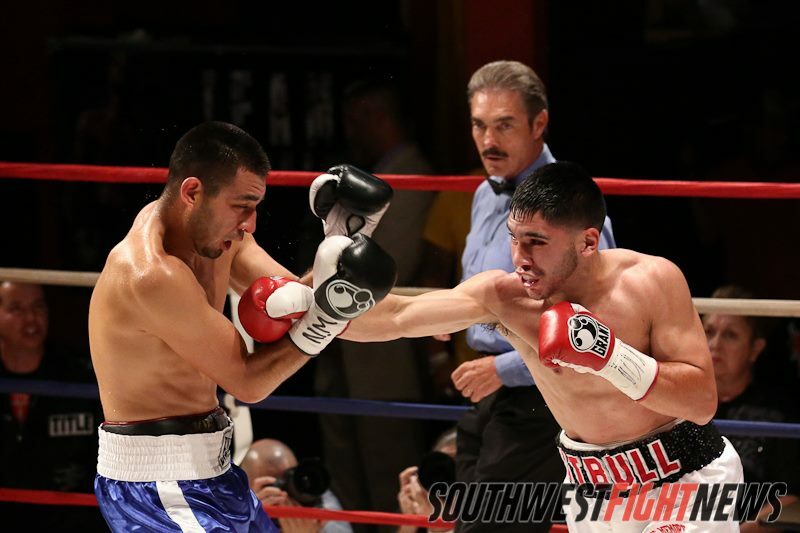 Salinas, had a successful 2013 going 3-0 with 2KOs. He’ll be taking a big step in competition when he faces his first undefeated opponent in two weeks. Valenzuela managed to earn a draw against tough fellow El Pasoan Carlos Villa (4-1-1, 2KOs). 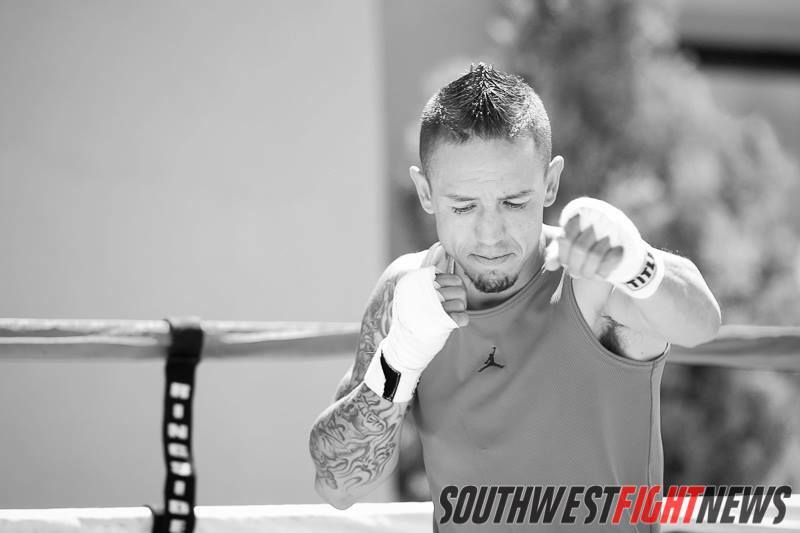 A common opponent that Salinas and Valenzuela share is an unwon Derrick Saenz Lopez who was stoppped in one by Salinas but took Valenzuela the distance. Gerardo Quintana (Hobbs) (4-0-1, 3KOs) vs.
One thing that I like about Quintana is that he rarely drops his right hand. Another thing that makes him exciting, at the same time succeptable to shots, is a lunging left hook but it sure is awesome when it lands. Crespin (pictured above) holds an impressive 12 win and 1 loss record in the state of New Mexico. Something has to break in this fight. 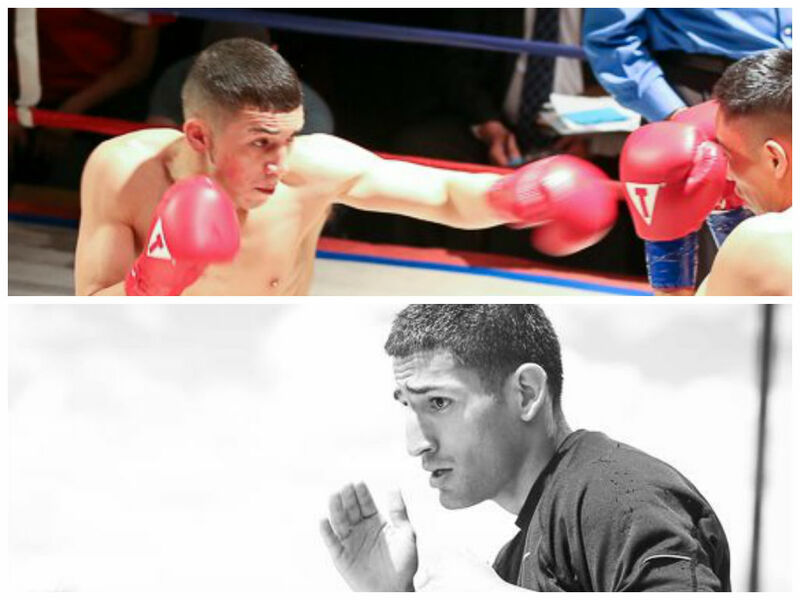 Both men have an always forward style about them; Crespin’s a little more powerful, Quintana’s a little more slick. 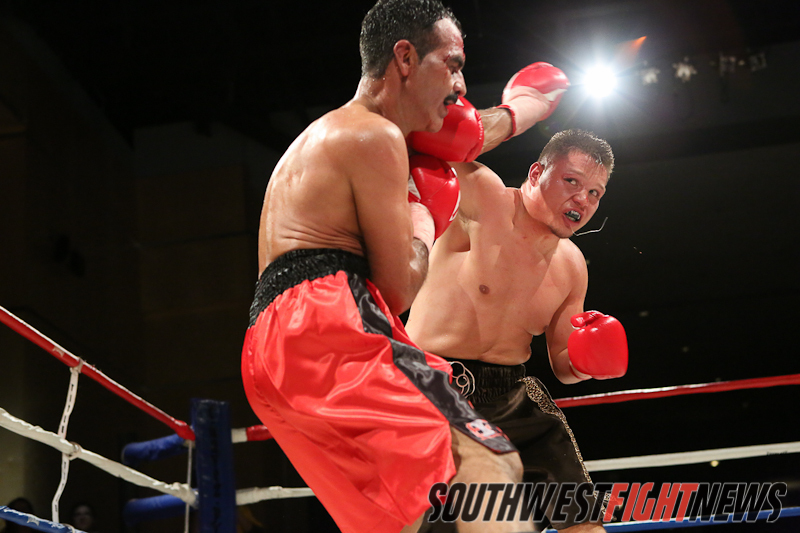 Adrian Lopez (Socorro) (5-1-1, 1KOs) vs. Finally, the big guys get some love. With Max Heyman, disappearing to a relative state of obscurity, these two are currently #1 and #2, respectively, on the light heavyweight rankings for our region. Unlike earlier in his career, Adrian Lopez has remained active the last two years and hasn’t had a whole lot of trouble out muscling his opponents. On the contrary, Shabazz has outboxed and KO’ed all his opponents in victories. The contest would likely be a six round fight neither fighter has been past four rounds so their engines would be tested in this one. Matthew Esquibel (Abq) (9-0, 4KOs) vs.
Oh where, oh where, has Archie Ray gone, oh where oh where can he be? Dude, has one fight remaining on his contract with Gary Shaw. Maybe he’s waiting for a big fight. In the meantime why not take a fight outside of that big time promotion contract against undefeated Matthew Esquibel. It seems that when Esquibel came out of his five year hiatus, Marquez took one of this own. His layoff has been exactly a year, the longest of his career. Esquibel, a little rusty in his last outing would probably want one or two more fights to retune his skills a bit more before taking on Marquez. The fight could be done at 135-lbs. Again, we’re not pushing for these fights to happen, no offense should be taken to anyone not on the list.